We’ve taken Heart of England Master Thatchers overseas! We have recently returned from our 5 day trip in Normandy, however, this was not a holiday. 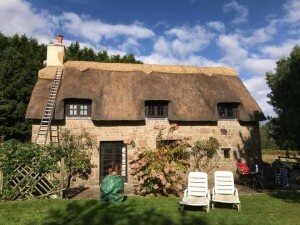 We completed a re-ridge and a thatch tidy up on this beautiful holiday cottage. Getting out of the country proved a challenge which a rather big bundle of thatch on a ferry, it wasn’t a walk in the park, to say the least, but once we arrived and settled it was a joy to be working abroad. I thank the team that came with me; they had great determination and understanding through a stressful few days. 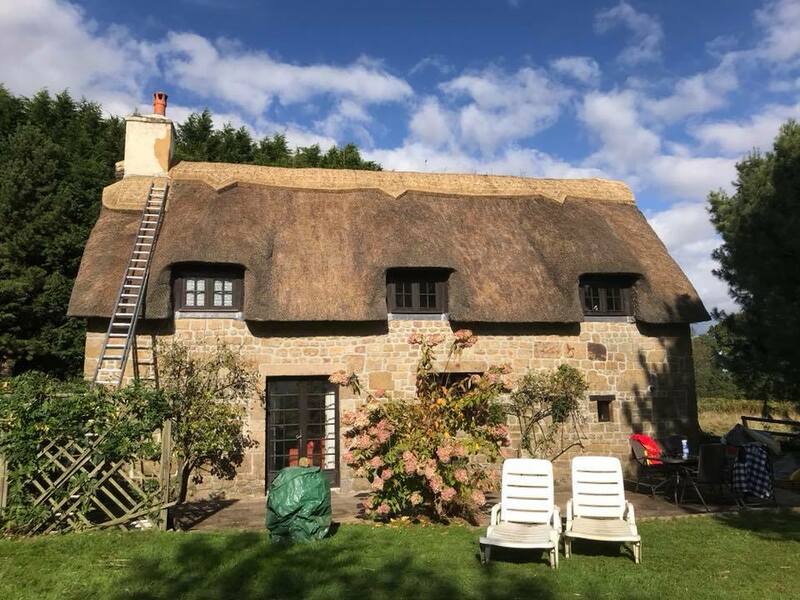 If you feel like your thatch needs a clean-up, whether that is in the UK or not, we can help! 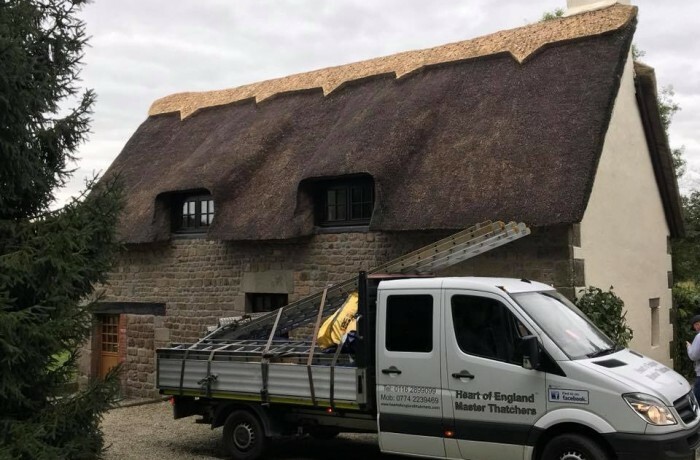 If you are wondering whether you need a new ridge you can contact us here at Heart of England and we will be happy to take a look, however, we usually say if your wiring is becoming loose or the shaping becomes lost those are the tell-tale signs. When we do re-ridges we normally inspect your roof to see whether there are any concerns or if there is anything we quickly fix while we are there. There are many different types of ridge such as a heather ridge or a sod ridge, but the most popular ridges are either block or flush ridges.